A late season blossoming of young Oilers players, such as rookie Sam Gagner, almost led to a playoff berth despite a rough start. Sometimes they may think it. Sometimes they may believe it. Seldom, however, do they say it. But as the Edmonton Oilers packed their bags after the end of a second consecutive non-playoff season, coach Craig MacTavish acknowledged that this year's failure was actually a success when viewed realistically. "I've never been one to call a non-playoff season a success, but I'm changing that now," MacTavish told the Edmonton Journal. "When the disappointment expires, we'll look back at this as a pretty important season. Having six or seven young guys emerge this year who are going to be here for 10-plus years is pretty significant." The Oilers have had more ups and downs than the stock market during the past couple seasons. Two years ago, they were in Game 7 of the Stanley Cup Final, a 3-1 loss to Carolina. At the end of last season, they were the worst team in the NHL. Early in 2007-08, the only way they could win a game was to get it to the shootout. But in the final quarter of this season, the young Oilers grew up. They went 13-4-1 down the stretch and very nearly squeezed into the playoffs. The Oilers ended 2006-07 in complete chaos after right wing Ryan Smyth, a lifelong Oiler, was dealt to the New York Islanders before the trade deadline after he and the team were unable to come to terms on a new contract. By the summer, they had begun to recover. They signed premier unrestricted free agent defenseman Sheldon Souray and angered many executives around the League when they pried restricted free agent forward Dustin Penner away from Anaheim with a lucrative contract. Lowe also acquired promising defenseman Joni Pitkanen from the Flyers before the season, and the team made a commitment to the numerous talented young players in the organization. But trying to get everyone on the same page was a challenge for MacTavish — one that wasn't helped by a rash of injuries to key veterans who had been counted on to help lead the team’s many youngsters. Souray was plagued by shoulder problems all season and ultimately appeared in only 26 games before being shut down for the season. He was essentially a non-factor. Captain Ethan Moreau missed the start of the season with a foot injury and the end of the season with a broken leg. Center Shawn Horcoff was on his way to his best season before suffering a season-ending shoulder injury in February. And Pitkanen was also bothered by injuries early in the season. Not surprisingly, the Oilers fell off the playoff pace. But as the season reached its late stages, kids such as Sam Gagner, Andrew Cogliano and Tom Gilbert blossomed, and the Oilers began winning with regularity. During one remarkable stretch, Cogliano set an NHL record when he scored overtime winners in three consecutive games. The Oilers actually threatened to sneak off with a playoff berth before coming up short in the last week of the season. Looking ahead, the Oilers have plenty of reasons for optimism. The kids will be a year older and wiser, and the Oilers hope that veterans such as Souray, Moreau and Horcoff will be healthy and ready to contribute next season. Additionally, goalies Mathieu Garon and Dwayne Roloson were an effective tandem in 2007-08 — and both are under contract for next season. There have been periodic rumors the Oilers might look to trade Roloson to improve other areas of the roster, but there have also been reports that Lowe and MacTavish might choose to continue their goalie rotation for one more season. “I think Mathieu is evolving," MacTavish told the Edmonton Sun. "There is no reason to think that it won’t be a competitive position next year. I think that's healthy in a lot of ways." The Oilers must make a decision on restricted free-agent center Jarret Stoll, who had a poor season, and also on veteran center Marty Reasoner, who will be an unrestricted free agent. Additionally, Pitkanen signed only a one-year deal with the Oilers last year and will become a restricted free agent. But two other potential RFAs, center Robert Nilsson and defenseman Denis Grebeshkov, both opted to sign new deals. 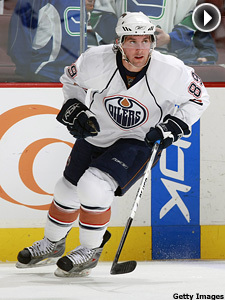 The Oilers exceeded expectations in 2007-08 and will be looking to return to the playoffs. Based on the way they finished the season, they're definitely on the upswing.